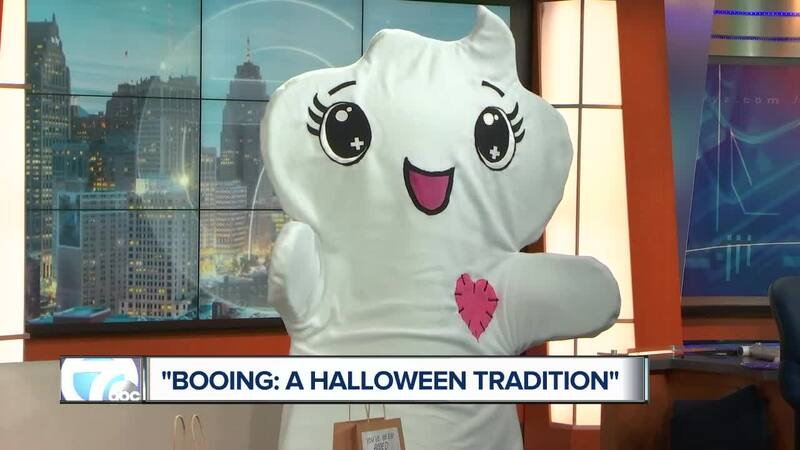 Booing is a Halloween tradition of surprising neighbors with treats during the month leading up to the holiday. Families sneak special treats onto neighbors' or friends' porches after dark with a note attached saying "You've Been Booed". When a family gets "booed", they have two days to "boo" two other families, spreading the fun. After being booed, the family is suppose to hang a ghost in their window to signify that they have already been "booed." Booing usually begins in late September and ends Halloween night. It's roots can be traced back to the early 1980's. Booing originated in the United States and occurs in pockets all over the country. Other names for the practice include "Ghosting", "Spooking", "Hobgobling", and "The Phantom" depending on where you live, and it occurs in neighborhoods, at schools, in offices, and in nursing homes.